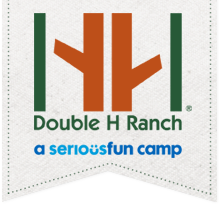 ages 17-21 years old and a prior Double H Ranch camper for Alumni Session. Child must function at a cognitive age of at least 6 years old. Siblings (ages 6-16) of qualifying campers enrolled in any 2019 summer session. OR siblings (ages 6-16) that have attended a Double H Ranch summer session in the past. If you have any questions about eligibility requirements, please contact Julia Kusnier, Family Coordinator at jkusnier@doublehranch.org or 518-696-5676 ext. 263 or Tara Bogucki, Admissions Director at tbogucki@doublehranch.org or 518-696-5676 x222.